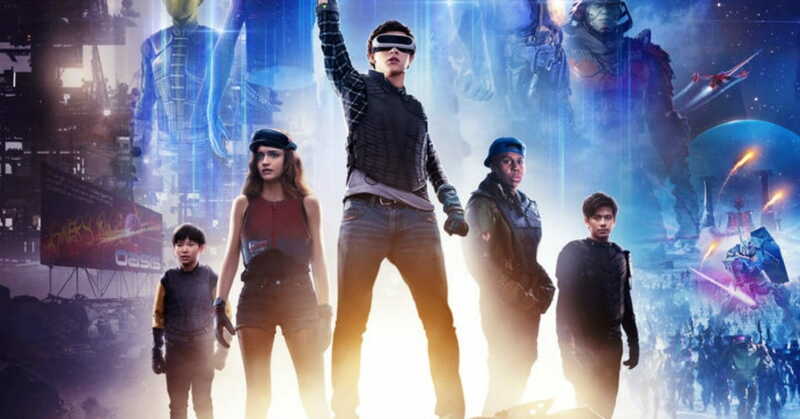 Summer seems to be starting early this year, at least in the movie universe, with the release of the highly anticipated “Ready Player One.” The film attempts to tap into the rising interest in 1980’s nostalgia with a story the combines a love of long past pop culture artifacts with a futuristic setting. The year is 2045. Life in America has gotten so depressing that most people would rather escape to a virtual universe called the Oasis, something of a mashup between a high tech Facebook and an extremely detailed version of the game Minecraft. The Oasis has all the benefits, and trappings, of virtual world where you can be anything you want in a world of your own making. When James Halliday, the bajillionaire creator of the Oasis dies, he leaves his fortune and controlling stock of the company running the Oasis to the winner of a contest he has embedded universe. But to win, you need to be an expert on Halliday’s life and the 1980s pop culture that he loved. If you haven’t read the book, and you like giant action movies, you’ll probably enjoy Ready Player One. And who better to direct on film about a giant virtual 80s pop culture contest, but the guy who practically invented 80s pop culture? Steven Spielberg is a director almost without peer, who can direct a movie like this in his sleep. It may be formulaic, but it’s a formula people seem to love. As the individual gamers battle with the evil corporate gamers for the massive prize, jumping in and out of invented worlds, there is no lack of humorous moments and engaging characters. In the contest challenges, the participants must know their 80s trivia to win. The book focused more on gamer culture (video games and role playing games) when handling obscure facts you needed to know to be competitive in the competition. In film, Spielberg takes a much broader approach to the story putting more emphasis on TV, music, and movies. In addition to setting the contests in world’s you would recognize, thousands of culture “easter eggs” fill the background. Ready Player One be enjoyed on a whole different level watching for a quick glimpse of something you remember from the past. While it’s not the nuanced and detailed nostalgia of something like the Netflix show Stranger Things, it does throw a giant, added helping of fun into the film. Ready Player One creates for us a world where real life is so horrible for most people they spend almost all of their time in the virtual one. There is a metric ton of moral dilemma there to be explored in this crazy sci-fi setting. Unfortunately most of it is ignored in favor of the common (dare I say even “Spielbergian”) tropes of 2 hour blockbuster movies. Such an jaw-droppingly beautiful artificial world, rendered meticulously in CGI… who wouldn’t want to spend all their time there. Motivated by their love of the game, the Oasis and the trivia its founder loved, a scrappy underdog bands together with his friends to fight evil corporate stooges who are in the contest purely for the money. “The Oasis should be for everyone!” You can almost hear Indiana Jones screaming in the background, “It belongs in a museum! Underdogs triumph. Evil is vanquished. There is nothing surprising or original about these themes, but that doesn’t mean they aren’t crowd-pleasers. For the parents of younger children, it did seem like this one pushed out a little against the PG-13 rating. A bit more vulgar language than I think is typical for films targeted to a younger audience. There are a few scenes with sexually suggestive material. Our heros interact with characters and setting that come from notable horror films. At their origin truly frightening, but mostly played for laughs here. Stephen McGarvey is the Vice President of Digital Content for Salem Web Network and Crosswalk.com.